The Master of Interior Architecture: Research + Design is delighted to announce the first lecture of the new public programme for 2018. Hilary Sample is an award-winning architect and cofounder of MOS Architects, an architecture firm based in New York City. MOS won the MoMA PS1 competition in 2009, and have subsequently built a number of residential, educational and housing projects. 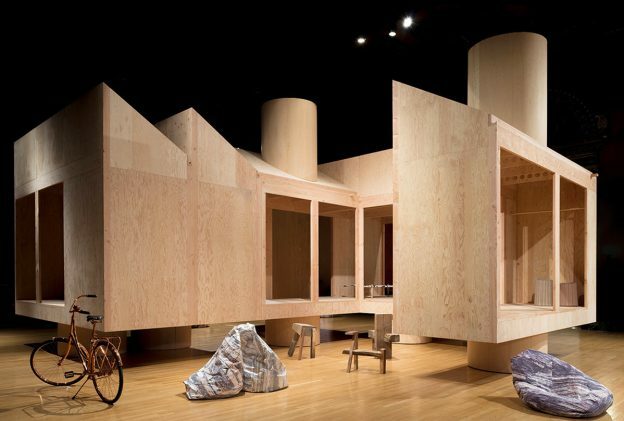 They also participated in several exhibitions including the 2015 and 2017 Chicago Architecture Biennial. Hilary Sample wrote the book Maintenance Architecture (MIT Press, 2016), and is associate professor at Columbia GSAPP. In this lecture she will talk about MOS’s approach to designing houses. This lecture was made possible with the kind support of Het Nieuwe Instituut, The Berlage, and e-flux architecture, within the ‘Architecture and Representation’ series.